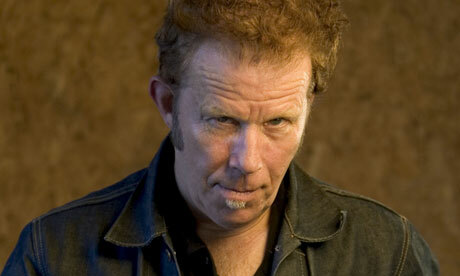 Thomas Alan "Tom" Waits (born December 7, 1949) is an American singer-songwriter, composer, and actor. Waits has a distinctive voice, described by critic Daniel Durchholz as sounding "like it was soaked in a vat of bourbon, left hanging in the smokehouse for a few months, and then taken outside and run over with a car." With this trademark growl, his incorporation of pre-rock music styles such as blues, jazz, and vaudeville, and experimental tendencies verging on industrial music, Waits has built up a distinctive musical persona. He was nominated for an Academy Award for his soundtrack work on One from the Heart. 1724 – Tumult of Thorn – religious unrest is followed by the execution of nine Protestant citizens and the mayor of Thorn (Torun) by Polish authorities. 1732 – The Royal Opera House opens at Covent Garden, London. 1776 – Marquis de Lafayette arranges to enter the American military as a major general. 1862 – US Civil War: Battle of Prairie Grove, Arkansas. 1930 – W1XAV in Boston, Massachusetts broadcasts video from the CBS radio orchestra program, The Fox Trappers. The broadcast also includes the first television commercial in the United States, an advertisement for I.J. Fox Furriers, who sponsored the radio show. 1941 – World War II: Attack on Pearl Harbor – The Imperial Japanese Navy attacks the United States Pacific Fleet and its defending Army Air Forces and Marine air forces at Pearl Harbor, Hawaii, causing a declaration of war upon Japan by the United States. Japan also invades Malaya, Thailand, Hong Kong, the Philippines, and the Dutch East Indies at the same time (December 8 in Asia). 1963 – Instant replay makes its debut during an Army–Navy game. 1965 – Pope Paul VI and Patriarch Athenagoras simultaneously revoke mutual excommunications that had been in place since 1054. 1970 – The first ever general election on the basis of direct adult franchise is held in Pakistan for 313 National Assembly seats. 1971 – Pakistan President Yahya Khan announces the formation of a Coalition Government at Centre with Nurul Amin as Prime Minister and Zulfiqar Ali Bhutto as Vice-Prime Minister. 1982 – In Texas, Charles Brooks, Jr. becomes the first person to be executed by lethal injection in the United States. 1983 – An Iberia Airlines Boeing 727 collides with an Aviaco DC-9 in dense fog while the two airliners are taxiing down the runway at Madrid Barajas International Airport, killing 93 people. 1988 – Spitak Earthquake: In Armenia an earthquake measuring 6.9 on the Richter scale kills nearly 25,000, injures 15,000 and leaves 400,000 homeless. 1999 – The Recording Industry Association of America files a lawsuit against the Napster file-sharing client alleging copyright infringement. 2003 – The Conservative Party of Canada is officially recognized after the merger of the Canadian Alliance and Progressive Conservative Party of Canada. 2005 – Ante Gotovina, a Croatian army general accused of war crimes, is captured in the Playa de las Américas, Tenerife by the Spanish police. 1932 – Rosemary Rogers, Sri Lankan-born American novelist.